Three PhD positions in the recently funded projects are available in Seismology and Mathematical Geophysics Group at the Research School of Earth Sciences (RSES), the Australian National University (ANU) starting early 2013. Applications and inquiries are invited from qualified and motivated students. Successful applicants will be working on various aspects of global and regional seismology (both observational and theoretical) and mathematical geophysics. Research topics include studying seismic sources and Earth structure and dynamics from the crust to the core using innovative techniques and globally distributed seismic data spanning a wide range of frequencies. 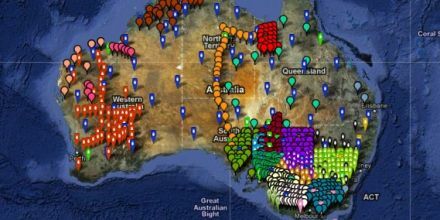 Other projects will focus on exploiting passive seismic data recorded by temporary arrays to improve seismic images of the Australian and Asian lithosphere utilizing receiver functions, surface wave dispersion, tomography and other imaging techniques. This would include participation in the deployment of stations across remote parts of Australia and consequent structural interpretation. Applicants should have strong analytical and computational skills with a background in physics, geophysics, mathematics, engineering, computer science, or related fields. Once enrolled, all graduate students are provided financial support for living expenses, including research stipend, tuition and computer purchase/travel allowance. Funding is available for three years, which is the anticipated time to obtain a PhD at the ANU.